Staff have been responsive and we have had excellent candidates. As the pioneer and industry leader in Rapid Response® travel nurse staffing, Fastaff guarantees delivery of experienced and hard-to-fill specialized nurses, often in 10 days or less. Discover how our flexible-length assignments, as short as two weeks, save time and money for our clients. Read our latest case studies, infographics and white papers on our successful RN staffing solutions. In order to deliver nurses for hurricane relief, Fastaff nurses were transported by the National Guard to the facility. 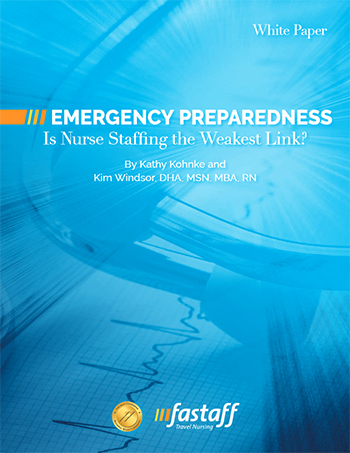 Is Nurse Staffing the Weakest Link? Does your hospital have a detailed staffing plan in the event of an emergency? Preparing for the “what if” can be complicated, but one thing remains certain – nurses are an essential component of emergency preparedness and disaster response. Read our detailed white paper, Emergency Preparedness – Is Nurse Staffing the Weakest Link, to discover the benefits of a staffing insurance policy in the wake of a public health event (PHE), including several example case studies. 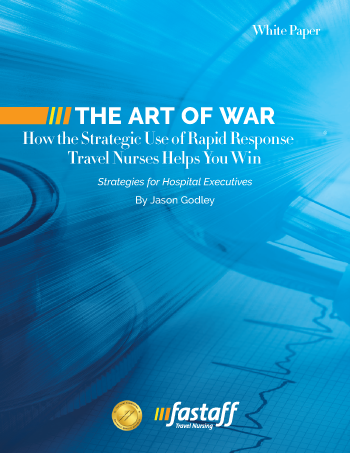 How the strategic use of Rapid Response® travel nurses help you win the balance of cutting costs while providing quality care. 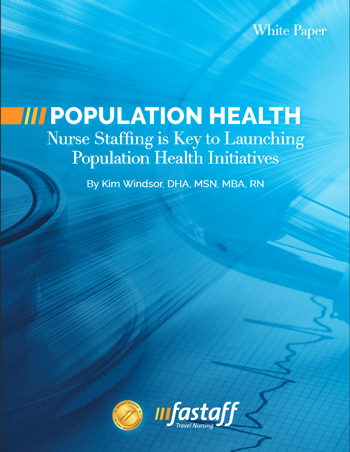 With nursing as the largest cohort in a hospital, human resources professionals face both short and long-term challenges in workforce management. Nursing shortages aren’t new to seasoned clinical executives. 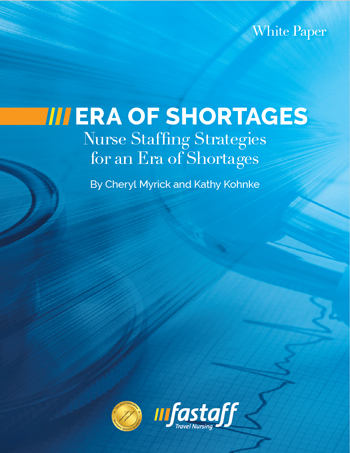 However, with the evolution from volume to value, executives now have to manage the shortage that doesn’t just reflect the number of nurses available, but also their experience. How the nursing shortage is different in the current value-based model. Alignment of frontline nursing care to the financial performance of the facility. Impact of patient consumerism in nurse staffing. Supporting both clinical outcomes and the hospital’s bottom line through strategic staffing. Implementing a population health strategy may seem impossible in the era of labor shortages and tight operational budgets. Discover how your facility can partner with Fastaff to launch a successful population health strategy. Fastaff fills 100% of 2+ week orders at eight facilities in days. 100% of nurses matched in less than 48 hours. 100% of nurses arrive on next available start date – most in less than a week. In some facilities, 100% of nurses were offered extensions at the end of the assignment.